Williams Roofing has grown to be one of the largest and most well respected roofing companies in the Coachella Valley. Over the years we have delivered outstanding customer service, value with our products and workmanship, and warranties that are above and beyond the industry norm. These qualities have driven more homeowners to choose Williams Roofing year after year, over any other roofing company. It starts with the first phone call to Williams Roofing. You won’t get an answering machine like many of our competitors. You’ll get a real live person ready to direct your call. Our estimates are courteous and free and we will work around your schedule. We pride ourselves on simply doing what we say we’ll do. So if we schedule your estimate at noon, we’ll be there at noon! Our estimators are trained to listen to what your needs are, first and foremost! We will investigate your roof project on it’s own merits and figure out what the best options are for you. No obligation, no hassle, no pressure! You decide when you are ready to hire us. 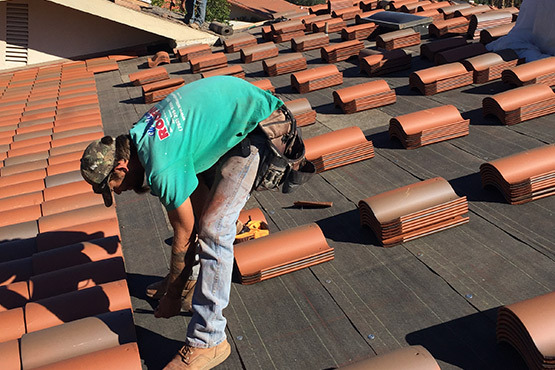 Our estimators carry ALL of the colors, styles, and samples with them to help you make a good choice with any of our roof systems that we offer. We accept all major credit cards as well as a financing option that includes several different programs to fit your needs. Your estimator will be happy to discuss this with you. Roofing services are only part of what we offer at Williams Roofing. We can replace your existing skylights that might be damaged due to age and deterioration. Prior to starting your roof project, you will be assigned your very own superintendent whose sole purpose is to run your job and make you happy! Our superintendents are always accessible at ANY time throughout your project to communicate with you instantly and efficiently.